Whether you are attending a show or a corporate event the Arie Crown Theater, here is all the information you need to make your upcoming visit easy and convenient. 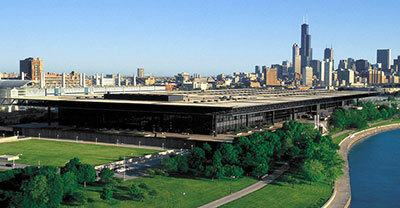 The Arie Crown Theater is located in Lakeside Center at McCormick Place, just 2.5 miles south of downtown Chicago. Theater parking fee is $23.00.